Since then I have only started it a couple times to move it around to shovel snow out of driveway. Each startup exhibited the exact same behaviour. Finally warmed up enough today to go take a look at her. 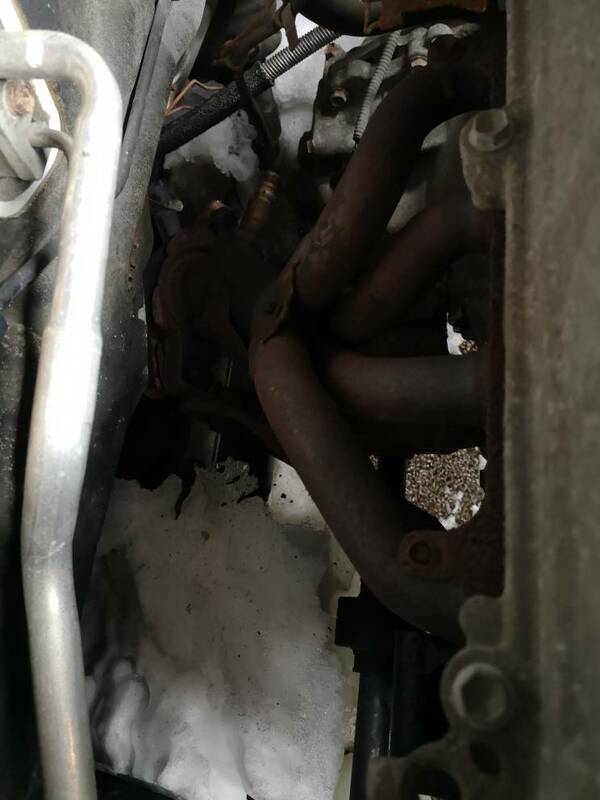 Hard pack snow and ice encasing lower engine and transmission. Breathed a big sigh of relief knowing they didn't F something up. She had left it sitting in a GO parking lot during the last storm. 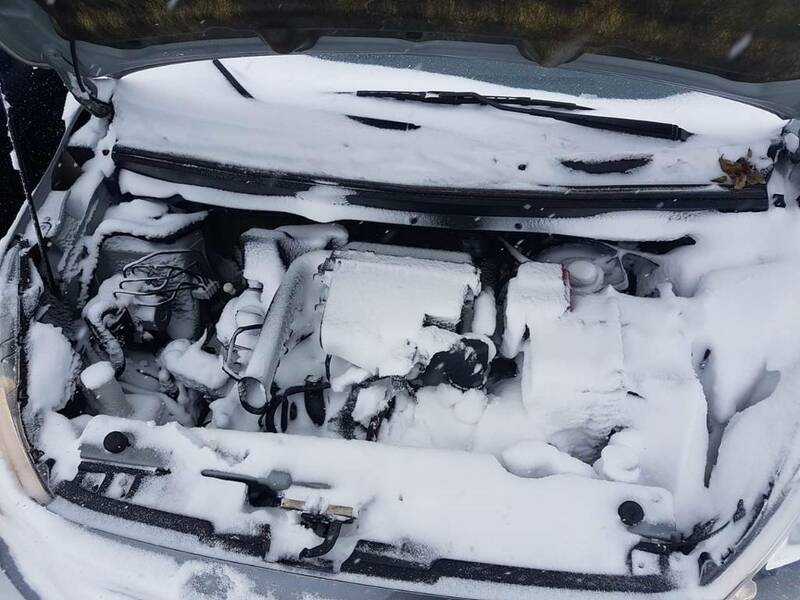 I figure the wind whipped snow blew in under the car and up into the engine bay. Last year, went to move the 3 company cars... Some were dead, so popped the hood and surprise! Wow. I've never seen that before! The left and right splash guards are scoops in reverse! I'm in a flat place w/ winter treads and full rear seat delete front weight bias...so just drive out instead of shoveling snow. Backing in on the flip-flop scoops snow, and backing will also scoop branches and junk when off-roading. Would like to find some ugly splash guards to modify. 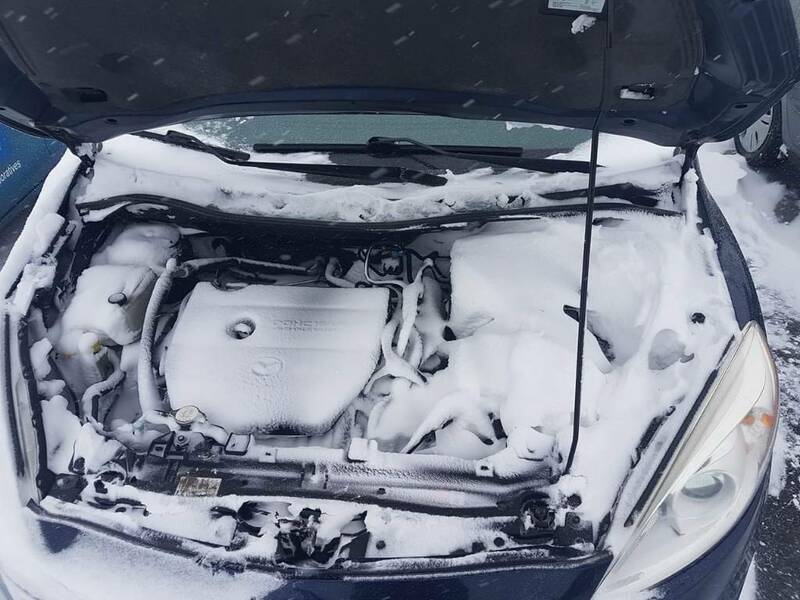 Hood was left open during a snow event? 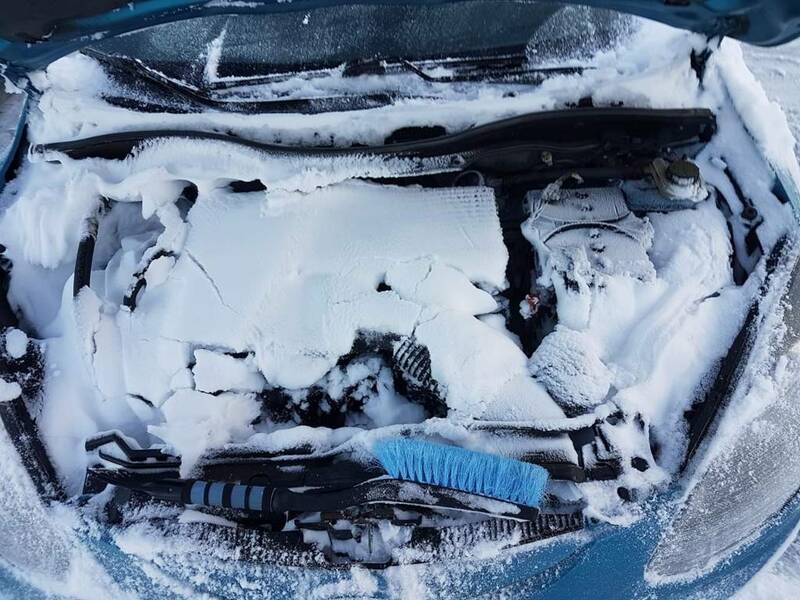 I'm guessing that had I popped the hood initially at the GO station I might have had a similar sight. 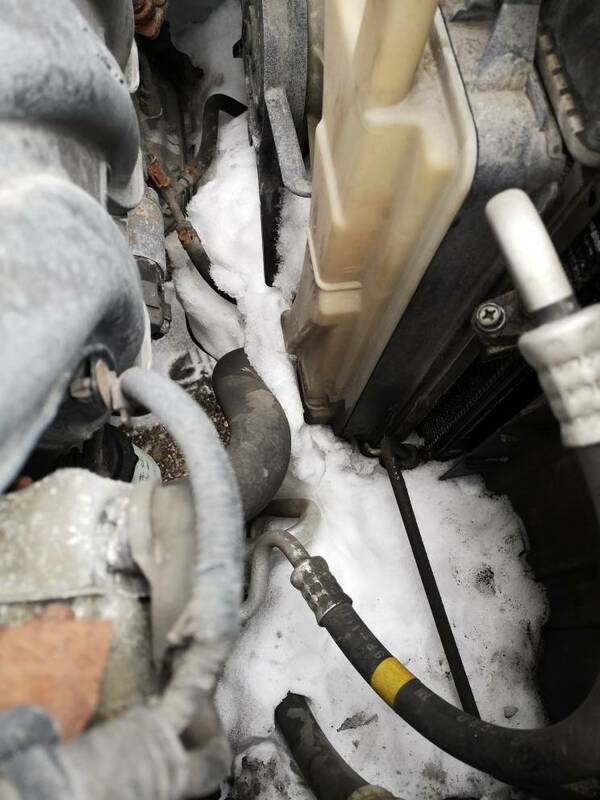 There is evidence in the engine bay of snow having reached as high as the valve cover in places. No telling how much melted away in the 30 minute drive back home that day. Parked facing against wind direction of a powdery blizzard?